Brief Cognitive Behaviour Therapy can be applied to the treatment of a wide range of problems in many different settings. 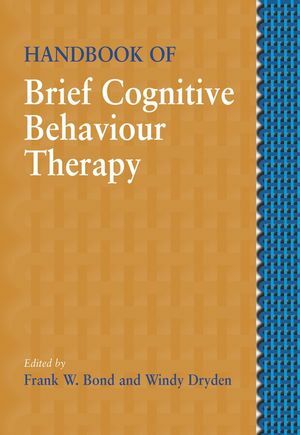 In this unique handbook, Frank Bond and Windy Dryden, have brought together a prominent cast of authors, to discuss issues concerning the definition, assessment and, in particular, the practice of brief Cognitive Behaviour Therapy (CBT). FrankW. Bond,BA(Honours), DipPsych, MSc, PhD,CPsychol, is Senior Lecturer in the Department of Psychology at Goldsmiths College, University of London. His research and practice centre around occupational health psychology and, in particular, how work redesign and cognitive behaviour therapies can independently, and together, help to improve workers’ psychological health, absenteeism levels, and productivity. Dr Bond also maintains a private practice in cognitive behaviour therapy. Windy Dryden, BSc, DipPsych, MSc, PhD, C Psychol, is Professor of Counselling at Goldsmiths College, University of London. He is the editor or author of over 125 books in the area of counselling and psychotherapy. His primary interests are rational emotive behaviour therapy and disseminating its theory and techniques to the general public, through writing short, accessible, self-help books.